Cooking for a crowd? This package is sure to make you your neighborhood’s champion pitmaster, plus you get more bang for your buck! SAVE $7.00! 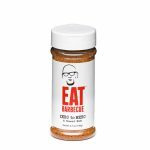 The Pitmaster Bundle comes with four 16 oz. 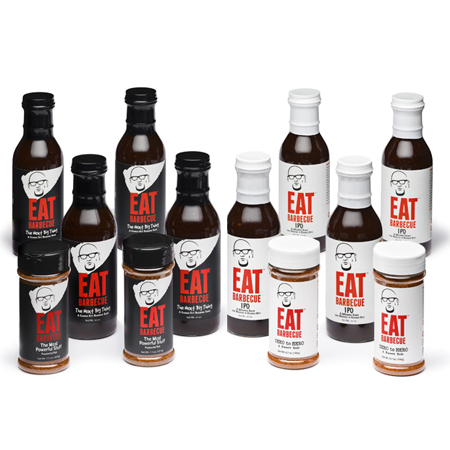 bottles of The Next Big Thing Barbecue Sauce (A Kansas City barbecue sauce through and through, on the sweet side with hints of smoke and spice), four 16 oz. 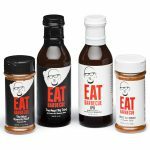 bottles of IPO Barbecue Sauce (a thinner sauce, sweet with a vinegar twang, sure to make your meat juicy and flavorful), two 6.2 oz. 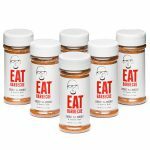 jars of Zero to Hero Sweet Rub (on the sweeter side with just a touch of heat…the rub that made Rod the best rib cook in the country) and two 6.5 oz. jars of The Most Powerful Stuff Rub (the mecca of all-purpose rubs made Rod a national barbecue champion and the best brisket cook in the country.) A $7 SAVINGS OVER THE SAME AMOUNT OF RUBS AND SAUCES PURCHASED IN THE TWO-PACKS.